The Electrical systems of your home deliver the electricity that is available at the outlets around your home where appliances can be plugged in. The Electrical systems also include: the electric wiring and switches for light fixtures which are permanently installed in your ceilings and walls; the electric panel where power comes into your home and which contains breakers or fuses which trip off when there is a problem with one or more of the electrical circuits in your home; and the electric circuits which provide power to fixtures and outlets which are on the outside of your home. Shown in the 'Routine Care' section are the recommended routine maintenance tasks for your electrical. The 'Q & A' section shows answers to common questions. And the 'Articles' section provides helpful articles about your electrical. 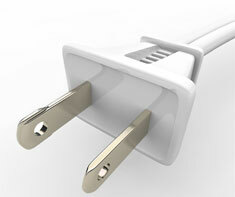 Test all GFI outlets (ground fault interrupters) in kitchen, baths, etc.